Long days at the beach, at the park and by the pool are on our doorstep! It's time to break out our sunscreen or go shopping one that is suited to our skin. 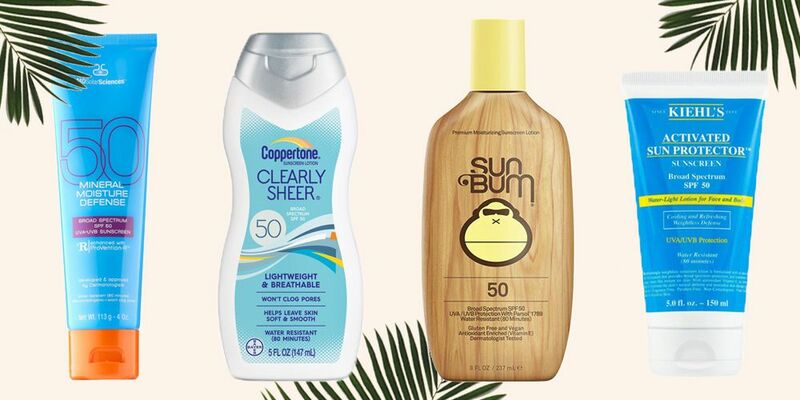 To avoid being the one of the gang that catches a big sunburn during the first barbecue of the summer, I propose you today a small guide 101 on the sunscreen as well as all my favorite products. 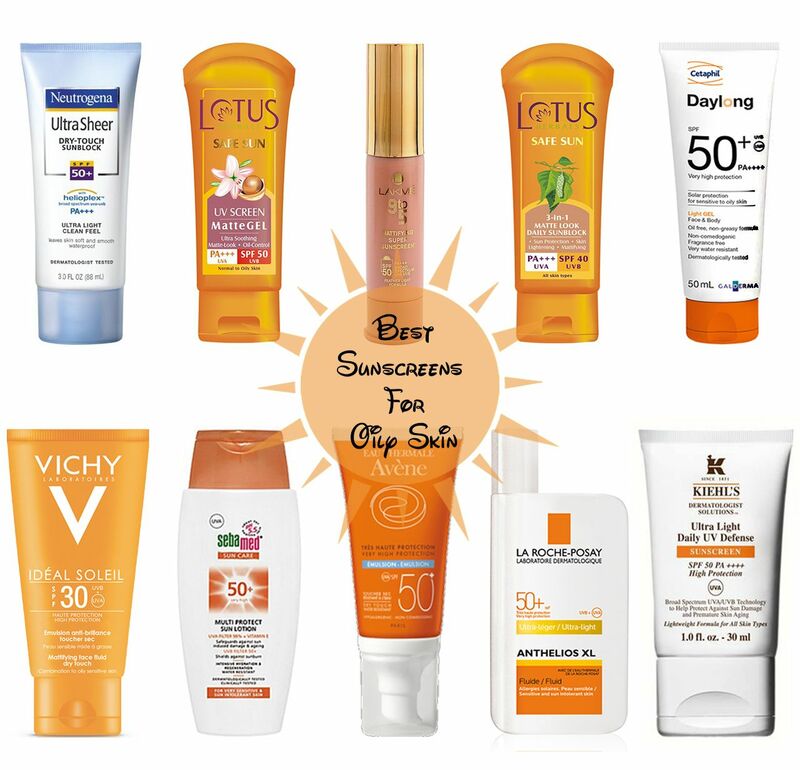 This will allow you to choose the best sunscreen according to your needs and maximize its effectiveness ! Obviously, your skin type may differ from mine, so I suggest you always find out and test a sunscreen before basting everywhere. I'm in math, but I'm just trying to sum it up to you: The number that comes with the SPF is the amount of time it takes for the ultraviolet rays to produce sunburn with and without sunscreen. According to this logic, a cream with an SPF of 15 allows us to expose 15 times longer to the sun before burning. This same SPF also fulfills the function of blocking UVB, rays that make us tan … or burn. This is when we are lying those who say "without cream with a SPF 60, I burn" because the difference between the SPF 30 and the SPF 60 is minimal! By "broad spectrum", we are not talking about a big ghost, no. These terms mean that sunscreen blocks UVB and UVA rays . UVA rays accelerate skin aging and, like UVB, increase the risk of skin cancer. A very important point for a reason super logic: in addition to bathing sessions, our body tends to sweat when it is hot. A water-repellent product will protect you from the sun despite perspiration! There is no difference in the formula of your protection: your sunscreen will remain effective! So you can choose the one you prefer. An average adult should average about 1 ounce of product. It sounds huge, but it's essential to adequately cover the entire visible surface of your body. If you want to apply the same sunscreen to your body and face, make sure it is not too greasy or irritating, non-comedogenic and approved for this purpose. We do not want to end up with the brow filled with pimples after an afternoon wading! With regard to the ingredients to avoid and prioritize, the products to hate and cherish, there are still too few serious studies on this subject. I recommend you look at the list of ingredients and choose a product that will not cause you allergies and that matches your skin care tastes. An allergist has already recommended La Roche-Posay Anthelios cream to one of my friends, whose whole family has extremely sensitive skin. According to her, it is the best alternative to ensure that nobody burns during the days at the pool and without an allergy crisis! One day in July 2015, I realized that I had covered myself with sunscreen for the last 4 years! The ingredients and formula of sunscreen change when it's too old, so it's important to discard it after the expiration date. Especially if you swim! Make sure to put sunscreen 30 minutes before sun exposure and reapply every 2 hours on average. It is important to put it back out of the water as well. On your next visit to the pharmacy, grab a lip balm that contains sunscreen SPF. I love Maybelline Baby Lips; cheap, not tacky and effective! Broad spectrum, hypoallergenic, water resistant, fragrance free, paraben free and non-comedogenic. This sunscreen is ideal for sensitive skin. About $ 30 at the pharmacy. Facial product, broad spectrum, hypoallergenic, water resistant, fragrance free, paraben free and non-comedogenic. Great for those who want a hint of color in their face! Product for face and body, broad spectrum, hypoallergenic, water resistant, fragrance free, paraben free. This is a great lotion because it can be applied to wet skin! About $ 30 in pharmacy. Spray product, broad spectrum, oil-free, hypoallergenic and protects from the sun even after 80 minutes in water or when sweating. Blow of heart for its good smell. Moreover, the glossy finish of the model spray is great on our legs! About $ 12 at the pharmacy. Facial product moisturizing, water resistant, hypoallergenic, broad spectrum, with vitamins C and E.
An extraordinary product to smell coconut and protect our face from the sun! About $ 10 at the pharmacy. Sunscreen moisturizing body, oil-free, water-resistant, hypoallergenic, broad spectrum, with vitamins C and E.
This product has a delicious coconut scent and gives a touch of radiance to our skin, I love it! About $ 11 at the pharmacy. Product for the body and face water-repellent, hypoallergenic, broad spectrum, non-comedogenic, without perfume or colorant. A classic sunscreen that my mother always brought to the beach when I was little and has a proven track record! About $ 23 at the pharmacy. This is the best choice if you are looking for a totally vegetarian and biodegradable product, not tested on animals, without artificial fragrance, paraben, phthalate, gluten or dye. A broad spectrum spray, water resistant and hypoallergenic. It's my lover's favorite! Often available at Winners for less than $ 10, or you can order it online. With all this, you should find a product that you like and that suits your skin!